Join us at 7pm Eastern time for the Mets fan pre-game show before the Mets-Phillies Sunday Night Baseball game tonight. I’ll be co-hosting with Kerel Cooper of On The Black and we’re planning a great interactive show. 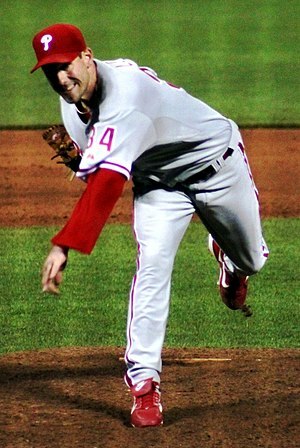 The Mets are sporting a three game losing streak and face Cliff Lee tonight in Philly. They haven’t faced Lee since 2009 and he only had one start but he went 7 innings and didn’t allow an earned run. The live streaming pre-game show is completely interactive. Audience members can chat and we’ll address topics that the audience brings up. Unlike the SNY pre-game show, we can address topics like the Mets financial situation and the reports that the Mets are having a hard time selling a minority stake in the team. You can watch and join the show below when we go live at 7pm Eastern time.